If business transformation is the best way to respond to disruption in your industry, what does that practically mean? Is there a step-by-step approach to mastering this? The short answer: Yes, there is. But it’s not canned. You need to create it yourself, with the people and resources around you. It can be accomplished. Other companies have done very well transforming how they work and create value. For company leadership, transformation is clearly personal, but it’s much the same across the organization. Transformation calls for resourcefulness, courage, and agility. You need to be ready to learn, question established ways of thinking and doing your job, and get more creative in serving customers. Yet, disruption is not all hardship and discipline. There is a lot to look forward to. As Thomas Honoré and Tune Hein point out in their book, “Disrupt or die: Your guide to digital leadership challenges,” creative disruption may help us solve the world’s energy needs, accelerate medical treatment or healing in hospitals, or make our governments more service-focused and effective. Today’s transformative technologies help companies channel disruption into strategies they can adopt and pursue. For instance, what we used to call “big data” is really an opportunity to use analytical and intelligence tools to make sense of the data masses in your company. You may find that you need the right kind of data to start with. For example, some manufacturing transformations have begun with the companies collecting live data from their machinery and production environments, and subjecting them to analytics to see how their industrial assets and production processes perform at any moment, in any shift. Retail companies have augmented their stores of customer histories and transactional data with up-to-the-moment research into current developments in customer preferences and markets. Based on real-time data and analytics from their operations and market segments, manufacturing and retail companies can better understand how disruptive events might affect them and how they can ride the wave – introduce faster, more targeted innovation, for example, or build closer customer engagements around a better customer experience. Other technologies may be helpful in fueling transformation, as well. The internet of things (IoT), 3D-printing, robotics, and even cloud computing and modern mobility can play a role in transforming your business and ensuring its long-term viability. One of your early challenges is selecting an area of the operation that offers ample opportunities for improvement and using it as a proof-of-concept for a well-planned, low-risk transformation initiative, using technologies you can easily access. 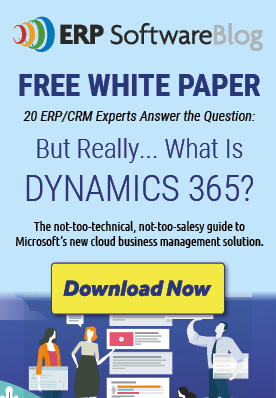 After that, you can steer the transformation of your processes, business groups, products, and other parts of the operation into the direction that’s best for the company and its customers. 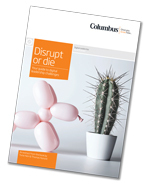 Download a free excerpt from “Disrupt or die: Your guide to digital leadership challenges” here. 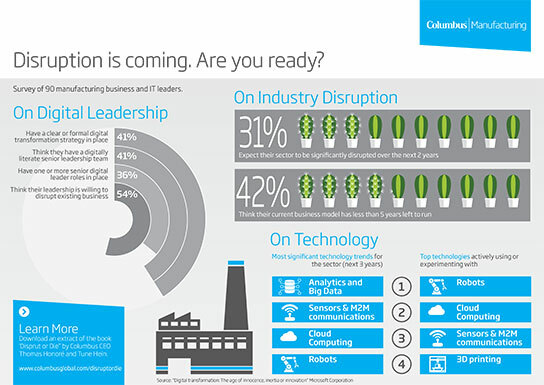 You can also view and download our infographic about disruption and transformation in the manufacturing industries.